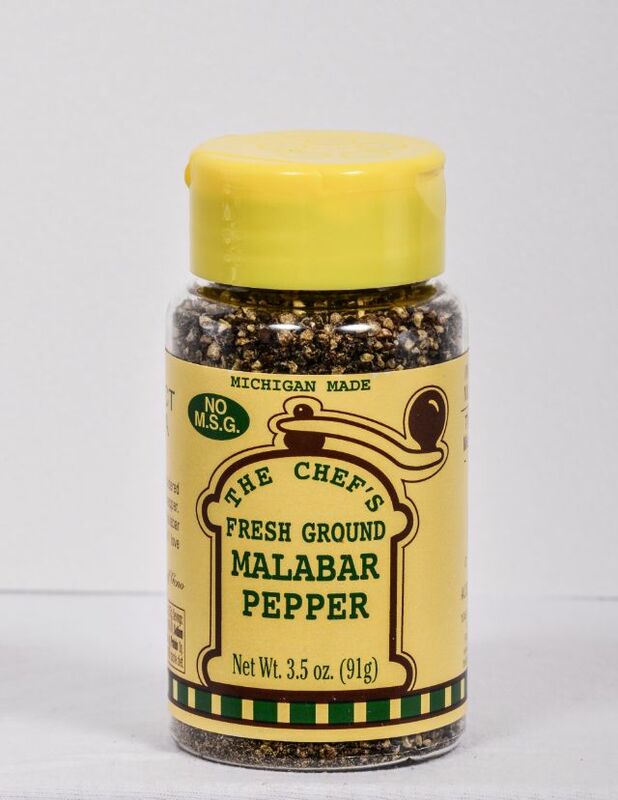 This pepper has a medium coarse grind. 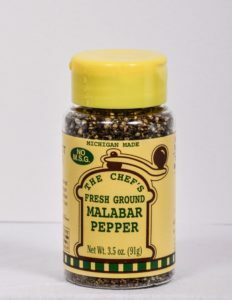 Malabar peppercorns are one the finest you can buy. 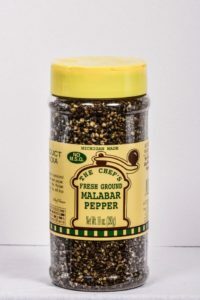 They are grown in the Malabar region of India, and is a stronger pepper for the true pepper lovers! 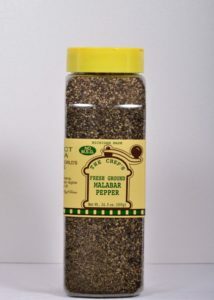 Considered the “steak” pepper.